Opposition party agents have attempted to disrupt the on-going collation of results by the Independent National Electoral Commission (INEC) in the governorship election in Abia State. 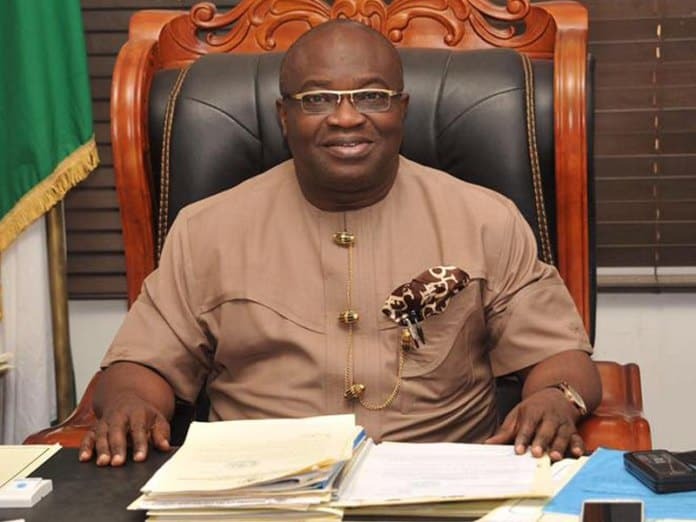 The agents claim a “gross falsification of figures in favour of Governor Okezie Ikpeazu” of the Peoples Democratic Party. It all started after the announcement of results from four local governments with the governor leading in three councils and the All Progressives Congress (APC) candidate, Mr. Uche Ogah, winning in one. Again as the result of Umunneochi Local Government was declared with APC candidate receiving just five votes, all the agents of opposition parties unanimously rejected the figures, describing it as “fraudulent”. They also staged a walkout which forced the returning officer, Prof Benjamin Ozurumba, to temporarily stop proceedings and call for 10 minutes break, in hopes that tempers will cool down. As collation resumed after the forced break, the opposition agents stormed the table, insisting on stopping the process, shouting that the figures being declared were “unacceptable”. The PDP agents also rose in defence of the results, as the venue turned into a chaotic situation. The intervention of the Assistant Commissioner of Police, Mr. Gabriel Elaigwu, calmed nerves a bit and collation resumed with the correction of the figures allotted to APC in Umunneochi council. However, as at the time of filing this report, all the opposition party agents have left the collation venue, vowing they won’t have anything to do with the “charade”.